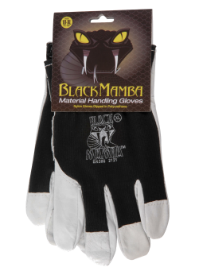 This is our top product. 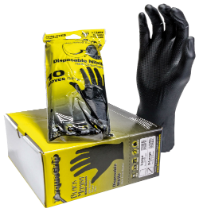 Made with our patented NITREX® polymer, this very strong (6.0 mils) powder free nitrile glove resist 3 times the chemical and puncture resistance of a comparable latex or vinyl glove. 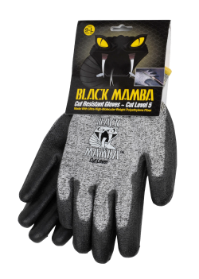 Our Black Mamba gloves as also more grip for secure handling and dexterity even when working with very fine goods. Leather palm with natural flower of white goat with tabs. American assembly with return on the index. Back black jersey cotton. 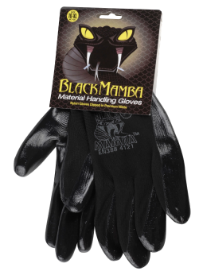 Elastic on the top of the hand. 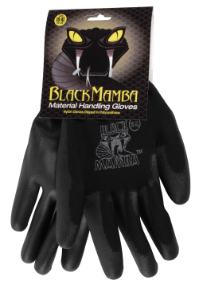 Polyester with rubber protection on the fingers and back. 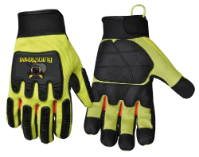 Palm synthetic leather, velcro comfortable by keeping.